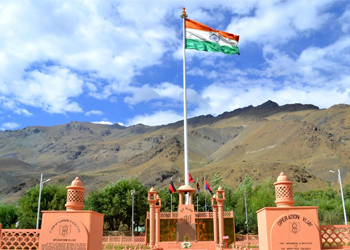 Kargil is most popular for the India-Pakistan war of 1999, referred to as the Kargil War. Kargil is the second largest town in ladakh. Kargil is situated on the banks of the Indus River. It is located 60 kilometers from Drass and 204 kilometers from Srinagar. During the 1st century, it was built under the patronage of king Kanishka of the Kushan dynasty. Major attractions of the Kargil region include Sani, Rangdum, Zongkhul, Stonday and Mulbekh monastery. In this region, most of the people follow Shia religion, while the others are Buddhist. Interestingly, this remote place has a good literacy ratio compared to the other parts of India. It has moderate climate as compared to other places in Ladakh. Kargil is one of the base stations for trekking and skiing. Mountaineering, camping, river rafting are some of the activities that one can enjoy here. During the month of May, Kargil plays host to an archery contest. In Kargil, you also find some handicrafts and other handmade products that you would like to shop around. Kargil is famous for the fine apricots grown here. Kargil is also called a home for some endangered animal species like the Tibetan Wolf and the Himalayan Brown Bear. During your Kargil visit, you can also take a rural village tour and get to see the old Turkish and Buddhist architecture. Lastly, you can drive through the most picturesque valley – Suru Valley. Uleytokpo is an enchanting village situated more than 3000m above the sea level, located 70 km on the Leh – Srinagar Highway. Uleytokpo is one of the well known trekking bases and camping amidst the snow draped mountains. It is famous for its apricot orchards. The Ridzong monastery is located nearby in a hidden valley and is known for its stricter rules. Jwalamukhi Temple, Maharana Pratap Sagar Dam and Trekking are the famous attractions in and around Uleytokpo. There is also a nunnery here. River sports are other attractions of this village. 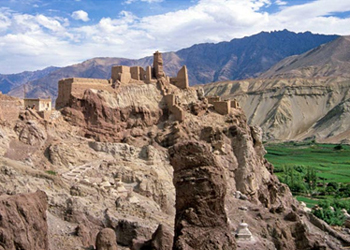 Sarchu is placed on the boundary of Himachal Pradesh and Jammu and Kashmir. Situated at an elevation of just over 14,500 ft between the Himalayan mountain passes of Baralacha La and Lachlung La, Sarchu is of great importance mainly due to its location on the Leh-Manali highway.Sarchu is also known as Sir Bhum Chun. The place serves as an overnight resting base for people travelling from Manali to Leh; they lie at a distance of 475 km from each other. Sarchu is a hot favorite with traders, nomadic tribes and adventure seekers. Sarchu is a trekking base for people who wish to trek around the Zanskar region in Ladakh. There are special adventure activities like fishing in chilled water, trekking, high altitude biking, leisure walks, Jeep Safaris, botanic surveys of exotic butterflies & flowers. The route opens between the months of May and September, when the snow melts. It is during this time that travellers can use this place as a halting place and can easily avail their accommodation in the form of tents or transit camp on the Leh-Manali Highway. There are stalls built in traditional Himalayan style at the camp sites that offers Tibetan cuisine like soups, noodles and momos etc. The Tsarap Chu River, a base for the Indian Army, lies within the vicinity of the base. Basgo is an ancient town located on the bank of the river Indus. It was once an important political and cultural centre. 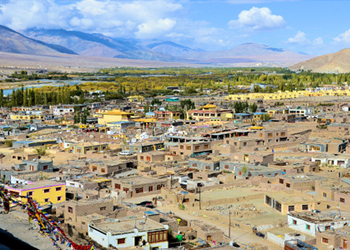 Located about 36 km from Leh, Basgo was an economically prosperous town and served as the local capital. Now, there is nothing left of it except for a monastery and erstwhile royal palace, both of which are mostly in ruins. It is known for its gompas such as Basgo Monastery and historical ruins. A visit is must to the mud-brick fortress of Basgo Gompa that lies onto a hill and houses the remnants of a citadel and three Maitreya Temples which are supposed to be the oldest surviving structures of its kind dedicated to the Buddha. Like all Buddhist monasteries in Ladakh, it is studded with copper statues and wall paintings, depicting incidents from the life of Lord Buddha. The collection undoubtedly is a real delight for historians and art-lovers. A 14 metres high gilded statue of Maitreya Buddha in one of the temples is an additional highlight of the monastery. The monastery looks amazingly stunning during evening when the setting rays of sun cover it in the hues of gold and orange – a perfect venue and ambience for photographers to click some memorable pictures. From a distance, the palace may be impossible to spot because of the similarity of its colour to that of the mountains. Both the palace and the monastery offer amazing views of the ghost town below and the bewitching scenery all around. It definitely makes for a surreal experience. The locals are extremely friendly. Choglamsar at an altitude of about 3,235 meters is located to the south east of Leh. 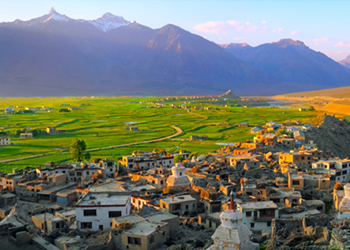 The village on the right bank of the Indus River is about 8 km from Leh.The word Choglamsar means a place from where several paths lead to Leh town. It is Buddhist dominant, has one gonpa and mosque. Since the village is known for Ladakhi table (chokse), it is also called Choklsel, a place of chokses. People of this village are living in very peaceful manner, having a very proud history. Agriculture is the main profession of this village.This Tibetan refugee settlement is a main center of Tibetan Buddhism, studies and cultures. 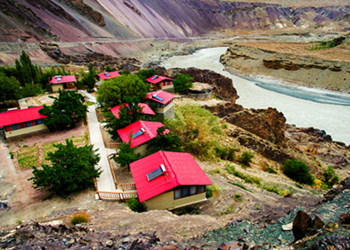 Choglamsar provides an excellent base for exploring the sights of Leh in-depth. Choglamsar is blessed with lively surroundings, fine restaurants, shopping areas and stunning attractions. Padum, which was the capital of Zanskar, is situated at a height of about 3505 meters. Now, the valley serves as the administrative headquarters of the region. Padam valley in Ladakh is one of the few places which has a dominant population of Muslims constituting nearly half the township’s population, their origin dates to the mid-17th century. 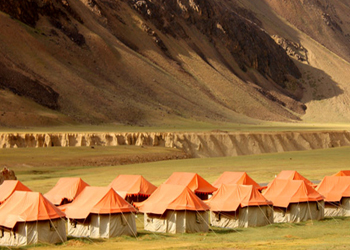 With around 1500 dwellers, Padum is considered as the most populous in Zanskar. One of the major appeals of Padum is that the valley serves as a major trekking base. The Starrimo Monastery situated on a tree-covered ridge above the old town, which houses about 30 resident monks is the tourist attraction of this valley. Just below the old township, there is a set of ancient rock carving on a huge boulder near the riverbank. These engravings prove that the region was under the influence of North Indian Buddhism. Last but not the least, the old village of Pibiting, near Padum, is worth visiting. An outstanding manifestation of stupa architecture, it stands dominated by a charming hilltop monastery.